Public Mutual, the No.1* private unit trust company and Private Retirement Scheme (PRS) provider in Malaysia, commands a market share of 49.2%^ for the retails funds sector and 41.0%^ for the PRS sector. Our total net asset value stands at RM70.6 billion^ as at end-October 2016. *In terms of total fund size managed amongst private unit trust companies and PRS providers in Malaysia. Source: The Edge-Lipper, 12 December 2016. 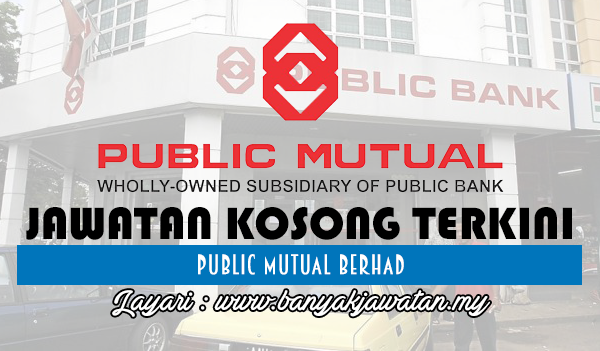 0 Response to "Jawatan Kosong di Public Mutual Berhad - 3 January 2018"